Ahead of the 2019 general elections in Nigeria, former Governor of Jigawa State, Alhaji Sule Lamido on Thursday visited the Delta State Governor, Arthur Ifeanyi Okowa over his presidential ambition. 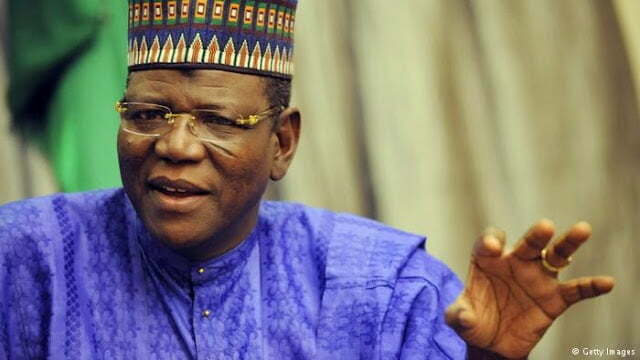 Lamido said the nation deserved to grow and develop. Lamido who was on a consultative visit to Governor Okowa at the Government House in Asaba boasted that he possessed the abilities to take the nation out of hardship. He also vowed to work with other aspirants as well as leaders of the Peoples Democratic Party, PDP, to ensure that unity and focus remained the hallmark of the party as it prepared to tackle issues of transforming the nation. On his part, the Delta State Governor, Arthur Ifeanyi Okowa commended Lamido for his commitment as a party man. Governor Okowa, however, emphasized that only a presidential candidate that emerged from the party’s structure would be able to lead the party forward as well as wrestle power from the All Progressives Congress, APC. Okowa called on members of the PDP to be committed, focused and love one another to galvanize the party to victory. While stressing the need for the PDP to remain united, Governor Okowa said, “I am happy that our party is rediscovering itself after our successful convention in which the leaders were able to come out as one united family committed to the future of the nation and party.